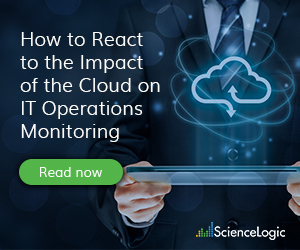 ScienceLogic has grown from an idea about how IT operations should function to a multi-national enterprise that delivers solutions that help businesses move faster. That doesn't happen by accident. This year has been a whirlwind of hard work, but work that I think all will agree netted substantial return. It feels both forever ago and like yesterday that we kicked off what we knew would be a big year for the company and I could not be more pleased with how this year has turned out. Our mission has always been to help today’s businesses and enterprises confidently face ever-fiercer market competition that is driving them to be more agile, deliver better customer experiences and increase efficiency wherever possible. The new technologies enterprises are adopting is helping to achieve this, but at a risk that many organizations do not yet realize – these technologies and the breakneck speed of adoption far exceeds the ability of existing IT operations management tools and practices to keep pace. This year, we’ve heard analysts, press, investors and customers alike validate our mission of delivering a consistent, market-relevant solution that enterprises need today. 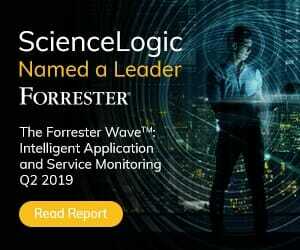 We were recently named one of the top three AI/ML vendors for IT Operations by Enterprise Management Associates; we announced a major strategic partnership with HCL; and recently finished our best quarter in the company’s history. It proves that, while we may not be the only company playing in this game, we are playing competitively in the major leagues. Yet while these successes underscore the impact and importance of the innovative products we are bringing to the market, they do not tell the full story. Last night, I had the honor and privilege of accepting our fourth Deloitte Technology Fast 500 award. That award, tied to our year-over-year growth rate, tells the story of a company whose team, community of partners, and strong customer relationships ranks among the elite. Few companies ever achieve the five-year 41 percent average annual growth rate at scale that we have realized. That is special and something for which I am inordinately proud of our team. It is also important for our future growth. More than just another decoration to adorn our office, it is an important signal to our investors, partners, customers and future customers that we mean business – it is a vote of confidence in ScienceLogic and our staying power in the market. 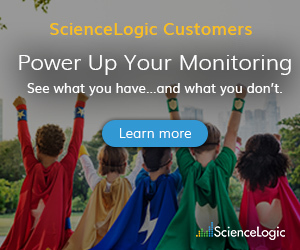 In the past ten years, ScienceLogic has grown from an idea about how IT operations should function to a multi-national enterprise actually delivering solutions that help businesses move faster, make smarter decisions and better serve their customers. That doesn’t happen by accident. We’ve done an amazing job and I am extremely proud of everyone who has played a role. Today’s success is yesterday’s dedication, talent, hard work, passion and love. I end this note with a heartfelt thank you to the entire ScienceLogic family; I cannot wait to see where we’ll go together next.